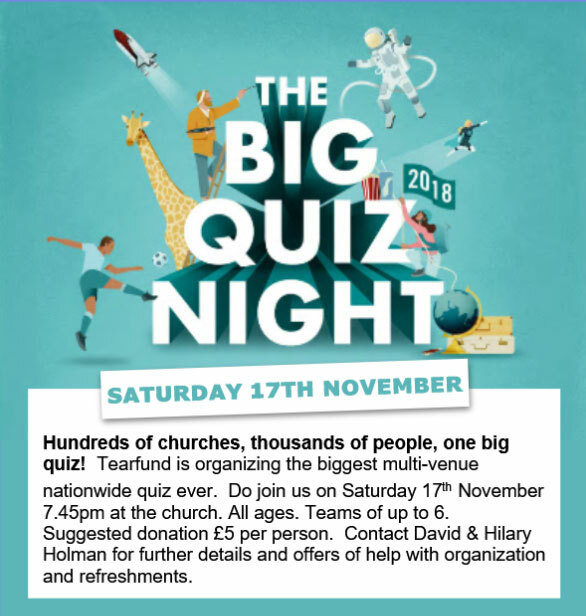 Please join us for the big..
David and Hilary Homan are organising a quiz night at church. This quiz night forms part of a multi-venue nationwide quiz pieced together by TearFund. If you’d like to be part of a team or could indeed organise a whole team of 6 members, then please contact David or Hilary and let them know. In the past, these events have proved very popular and are well attended, so get in quick and book your place!